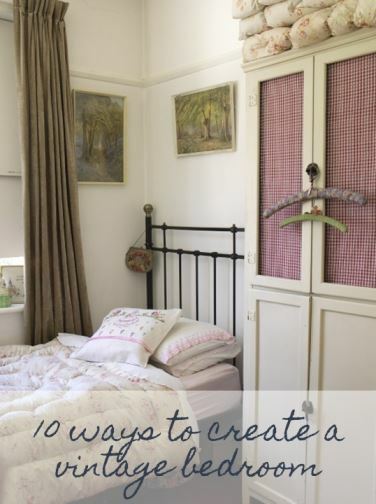 I am in the process of adding some cute details to my 5 year old daughter’s room – I recently moved her wardrobe to a more accessible place which has revealed a large white wall which needs some accessories on to brighten it up. I will be adding a handmade (when my husband makes it!) shelving unit as well as more framed pictures. 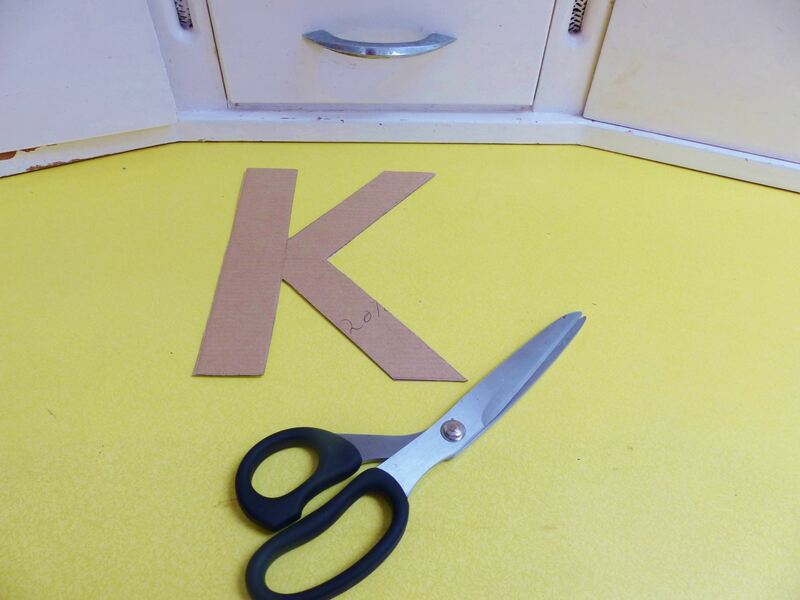 My son, Herbie has quite a few vintage H letters dotted on his wall so I started to search for a K for Kitty but couldn’t find any. 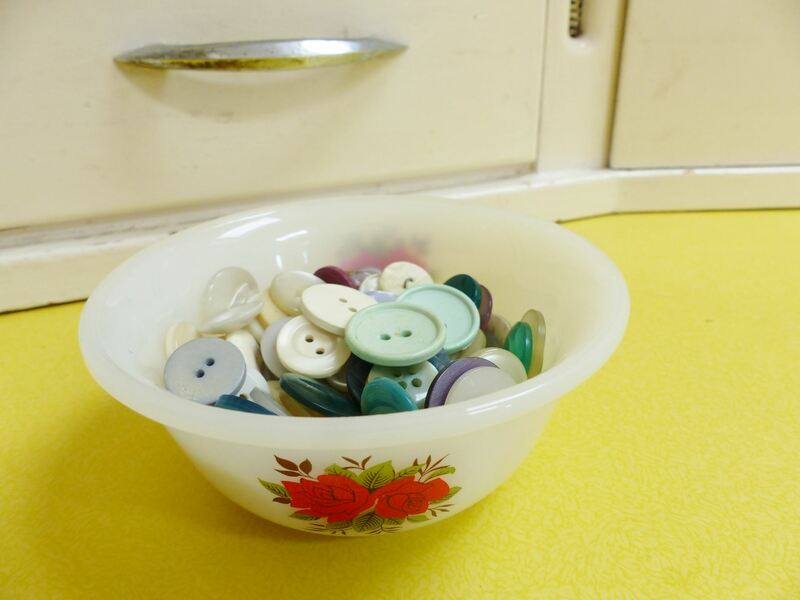 Hence starting to make my own using vintage buttons and thought I would share how I made it as it is so simple. 1. 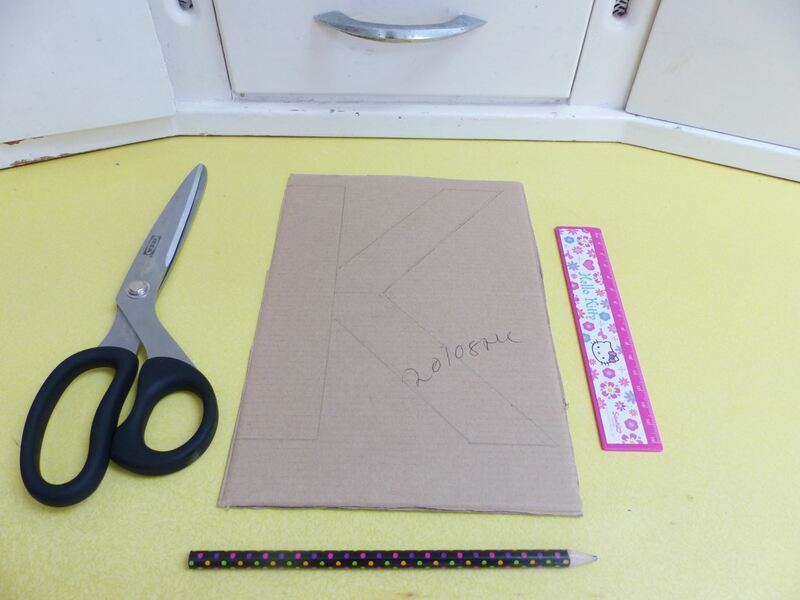 Carefully draw your letter onto the cardboard and cut out the shape. It is better to choose plain cardboard; I used a shoe box. You could buy a wooden letter from a craft shop but I chose to make my own. 2. 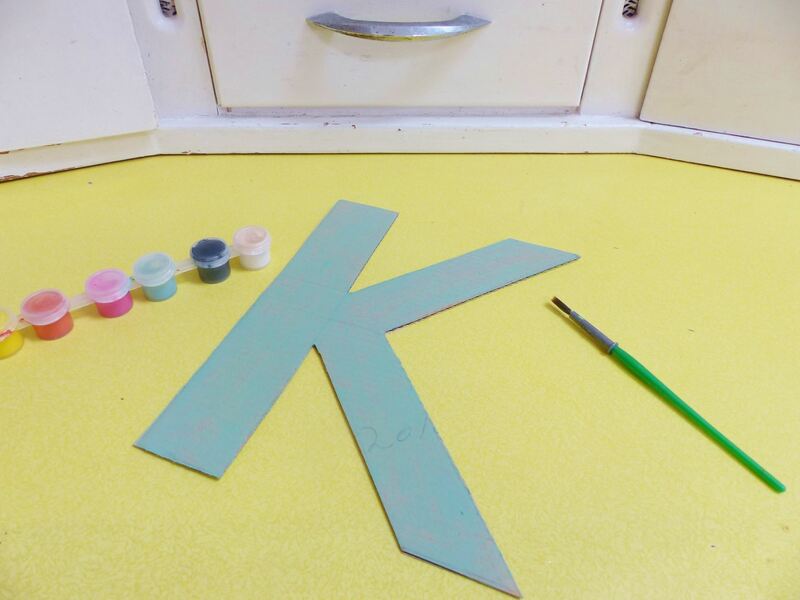 Paint the letter in the colour of your choice. I simply used my daughters paints, nothing fancy! This will act as a background if there are any spaces between the buttons. 3. Choose your buttons. 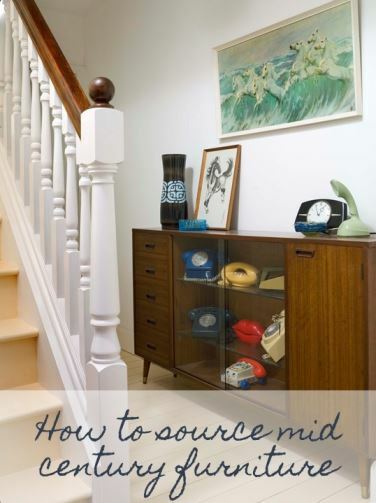 This will look great in one plain colour or mixed – totally up to you. 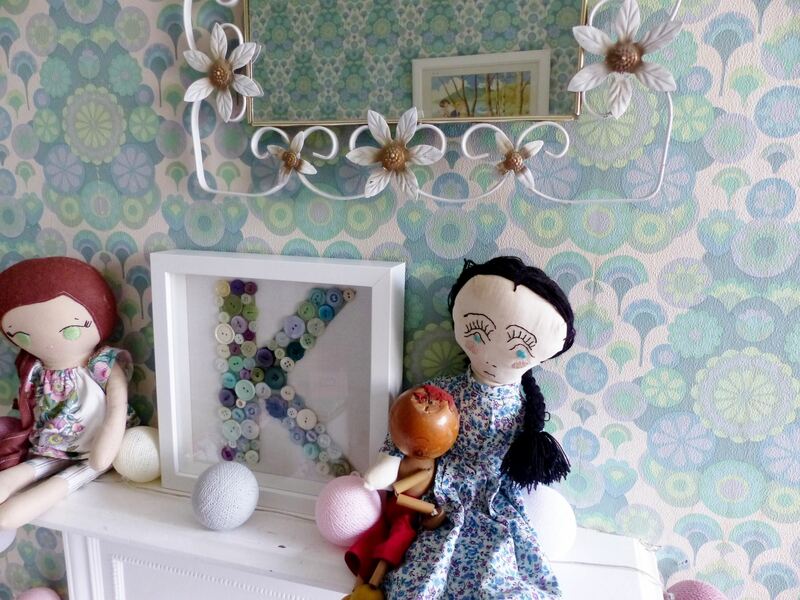 I chose green and natural coloured buttons and added a few lilac ones so the letter matched the wallpaper in the room. 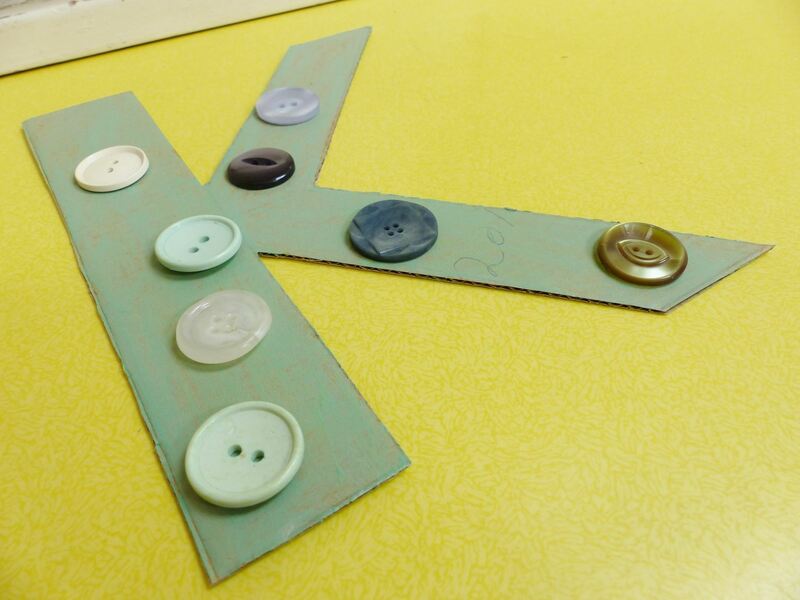 Choose buttons of all sizes and materials. 4. 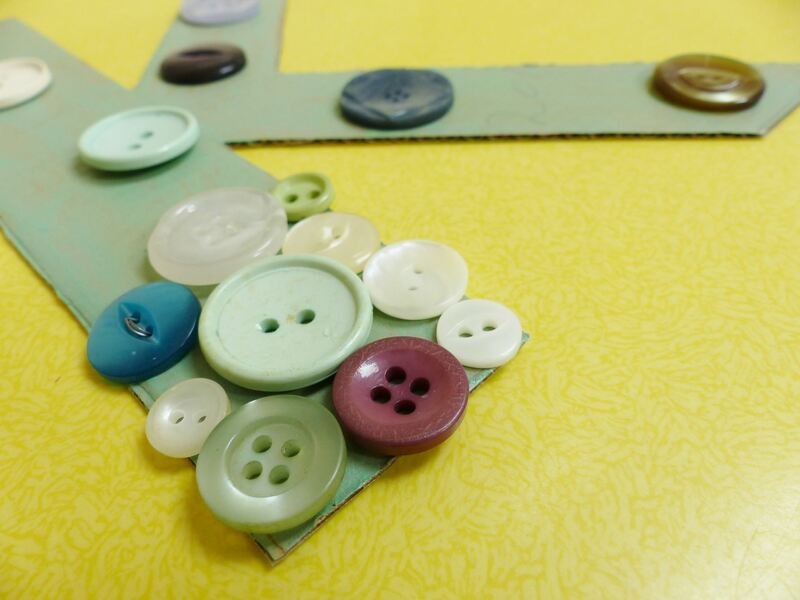 Start to glue the buttons into place. It is worth laying them all out first to make sure you are happy with the combination before you start glueing. 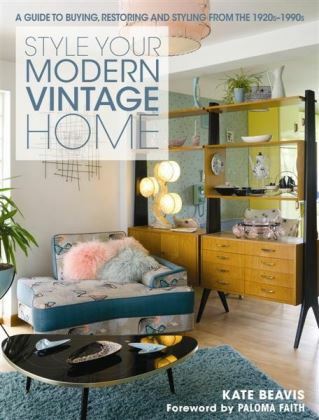 It is a good idea to position the larger, more eye catching buttons first. Wait to dry. 5. 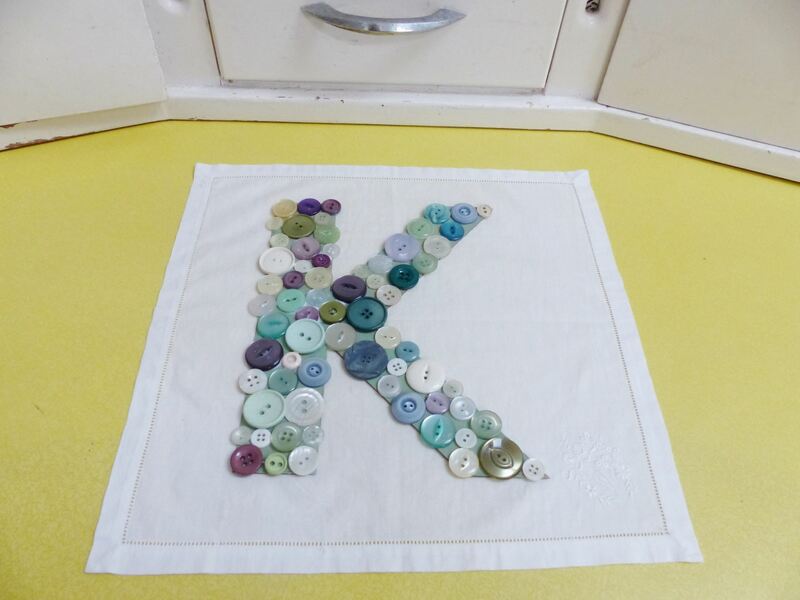 Choose a piece of fabric that sits well behind the letter and fits into the frame. 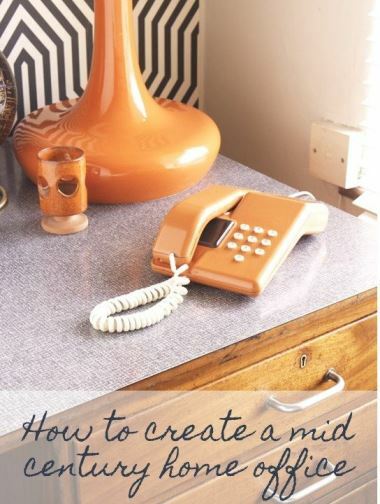 I chose a linen napkin as I felt the colour didn’t compete with the buttons. 7. 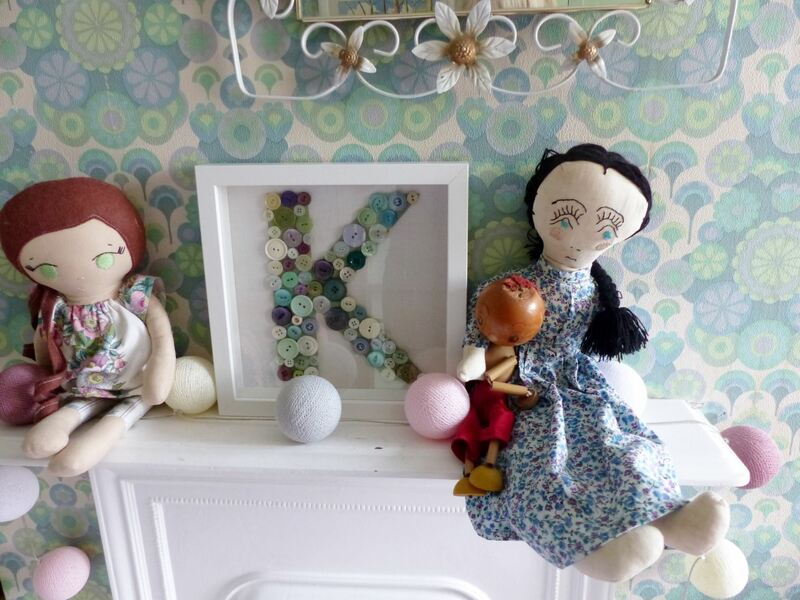 Stretch this over the inside of the frame and gently tape into place at the back.Put the frame together and voila…a vintage button letter. Isn’t that easy! I think it looks really cute and the best bit is that my daughter loves it. 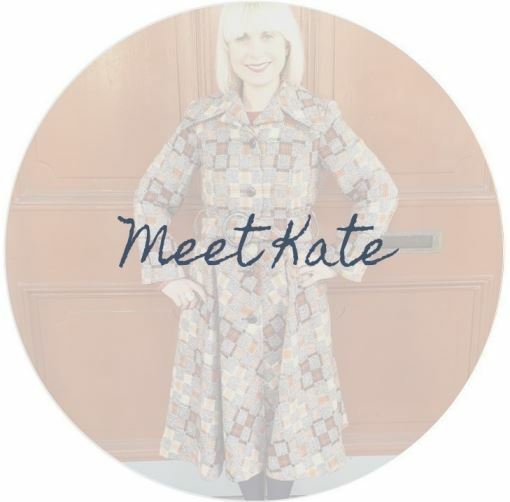 Watch this space for more news on her new room, including using more pretty wallpaper. p.s. Want a bit of colour in your garden? Have a look at this DIY herb planter tutorial which I recently featured. p.p.s. 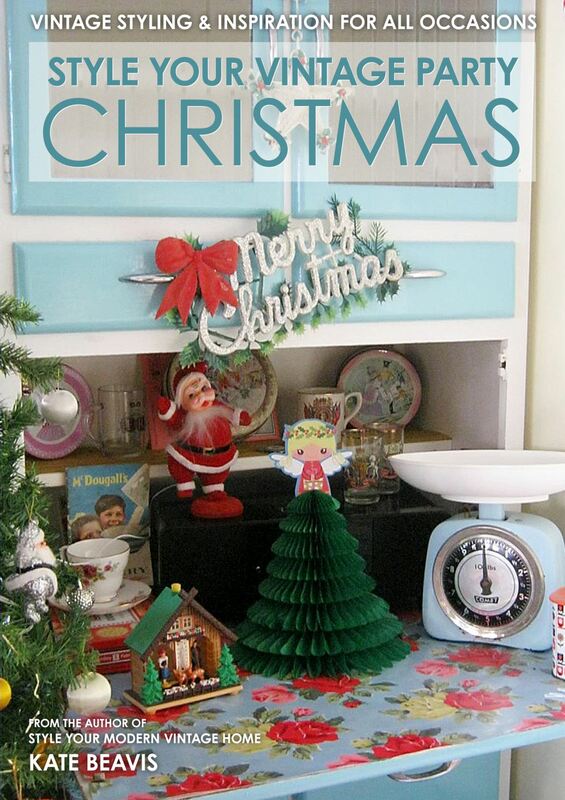 Want to create some handmade Christmas decorations? Then have a look at my e-book, Style Your Vintage Party Christmas.